sometimes, i think i take for granted all of the goodness that is in my life. and i'd like to think that a lot of this goodness can be attributed to the wonderful family i've been placed in. i know it's over a week past-due (sorry, dad! 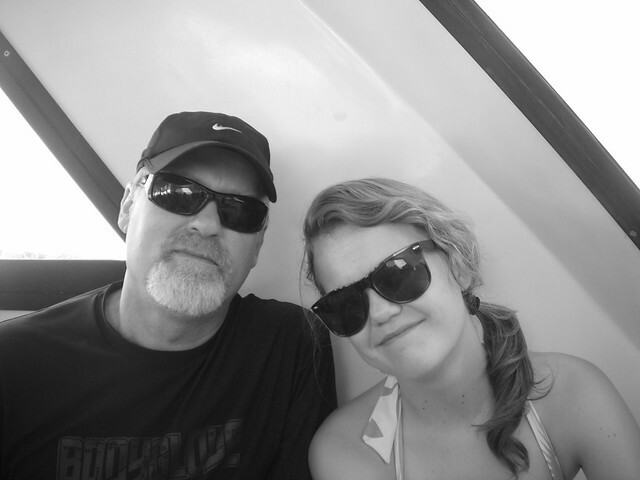 ), but i just have to give a little shout out to the most important man in my life. i really, really look up to my father. you'll never meet a kinder, more honest, harder working man in your life. my dad has given me so much and instilled such important values in me. he has also taught me to ride a bike and shoot a jump shot. and makes the best enchiladas north of new mexico. i love traveling, talking business, going on hikes, and watching foreign films and the office with my dad. really, any time with this guy is just the best. if i marry a man even close to the caliber of my father, i'll be set. te amo, padre! eres el mejor del mundo! p.s. vamos a regresar a belize? eh?